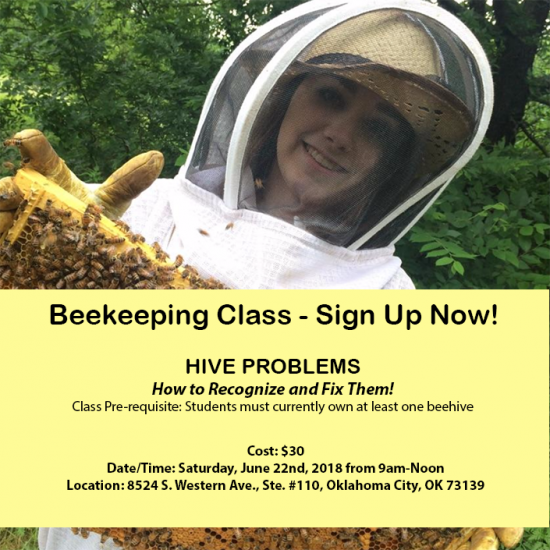 Beekeeping Class in OKC - Hive Problems | Award-Winning Local Honey From OKC! Looking for a Beekeeping Class That Will Help You Recognize if You Have a Hive Problem and How to Fix It? Need a beekeeping class that will help you figure out what is going on with your hives? Are you having problems with your hives and you just don’t know what to do next? Are you confused about whether or not your beehive has a problem at all? Are you confused by all the conflicting suggestions you’re receiving from fellow beekeepers, and you’re just about ready to throw your hands up in the air and say what did I get myself into with this hobby?!? 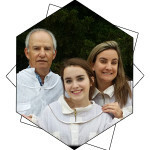 We utilize a mixed learning style of lectures, hands-on demonstrations (in the class setting, no live hive inspections), equipment that you can look through, and videos from our own apiary that demonstrate some of the most common problems beekeepers face and how to address them. How to Recognize & Fix Them! This class will be helpful to first year beekeepers as well to those with more experience who are stillnot comfortable with what they are seeing inside their hive boxes, and would really like to get more comfortable with what it is they should be doing as a beekeeper during the Summer months.